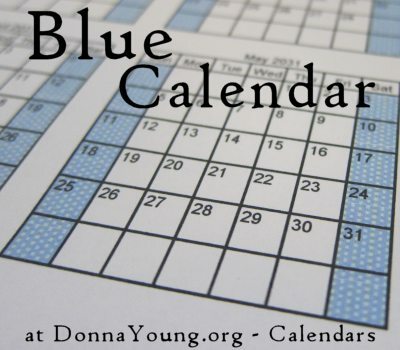 The 2018 Blue Calendars are included with the Basic Subscription and YoungMinds or you can purchase the five files for the year 2018 which includes Jan., Jun., Jul, Aug., and Sep.). 2018 Blue Calendars Cart Listing. The blue color used is a medium shade. The months are ordered across the page. The header reads, "Calendar for the Year: Month Year - Month Year". "Month Year" is replaced with the month and year that is on the file.